When I’m driving, I pay attention to street names. I get curious about who named them and what they reveal about the town’s history. For example, there’s an Apple Blossom Lane in Sebastopol, CA, home of the Gravenstein apple. In Paisley, Scotland, where there was a thriving textile industry in the 19th century, there are Cotton, Shuttle and Thread Streets. 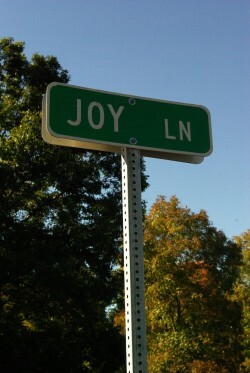 At first I thought of Joy Lane as a destination. I imagined it to be a special place like the secret garden in Frances Hodgson Burnett’s children’s book, only it would change depending on the day. One day it might be a lake and the next day a weaving studio. But then I realized turning down Joy Lane is more about the experience. It’s an open invitation; the opportunity to choose joy is always there, beckoning. And I wonder, is joy – like beauty – something that we consider a luxury? Something that comes after the long to-do list rather than a priority? Something that gets saved for the weekend or vacation rather than integrated into daily life? With these questions on my mind, I started to pay attention to my own choices. The other day I started a new weaving project. I was intrigued by the warp of rust, gold, ivory and olive threads and was so curious to see what the cloth would look like. I set aside my to do list and kept working, tying these 409 threads onto the previous warp, winding them onto the loom, and finally weaving a sample. I was so involved in what I was doing that I lost track of time. I went to bed that night feeling deeply content. After running errands last Saturday I decided to go to the café in town. I sat at an outdoor table, enjoying the gorgeous fall weather, reading, writing and watching people. Before long, I noticed that my energy had shifted: the other things I planned to do were no longer should’s and supposed-to’s, they were want-to’s. I returned home with renewed energy. My preliminary findings from these experiences and others indicate that when I choose joy, my experience changes. Time expands. The task is easier because I am enjoying it. The joy I experience then gives me energy for other things and shifts my experience of them. 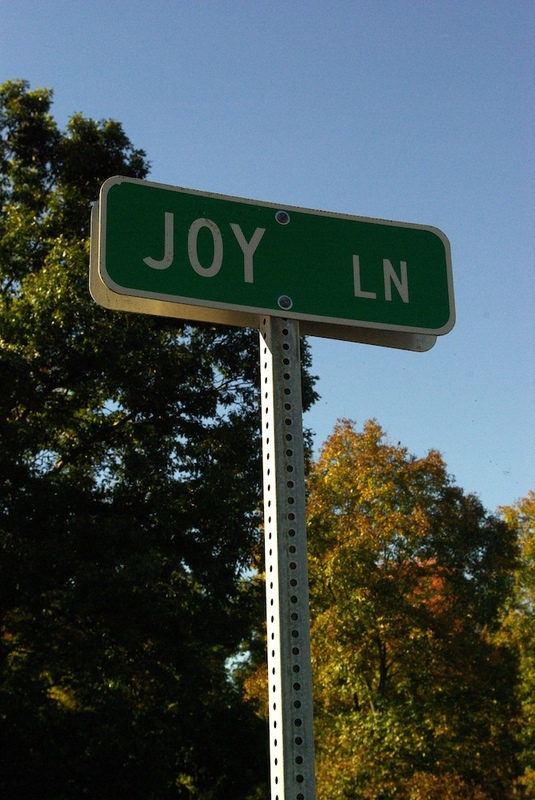 As I notice these positive effects, another question arises: can I open myself more to joy, so that it becomes Joy Street or even Joy Boulevard instead of just a lane? My invitation to you: Can you integrate joy into your to do list and daily life? What happens? I’d love to hear.